Whiteboard animations can used for a number of reasons: to introduce a product or service, to sell an idea, or even to teach customers how to use a software program. Some productions are mediocre, and others are absolutely astounding. Here are 12 of the best whiteboard animation examples that serve as perfect whiteboard animation examples of how your business could use this type of video, and they’re really good! This whiteboard animation from Adobe explains their Echosign product in detail. It’s informative, and a great way to show customers how to use the program without them having to read through pages of web material. This classic whiteboard animation from Elevations Credit Union covers a topic that most people are far too familiar with; rising energy costs. Its’a fun video that homeowners everywhere can relate to, and does a good job of relaying the information in a short period of time. 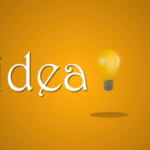 Steven Johnson helps us to understand where good ideas come from in this informational whiteboard animation. It’s slightly longer than some of the others, yet interesting enough to hold your attention. A good example of how to produce a video that’s over 3three minutes long, and still keep the viewers attention. This video goes deep into the science of what motivates us. It’s a longer piece, but one that makes you think. It features a classic whiteboard animation with a killer script. Finding a new place to live doesn’t have to be a hassle. That’s the message portrayed here in this production by PadMapper.com. This animation is fun to watch, and is a prime example of how to introduce your business to the world. DC Home Buzz delivers a targeted message to homebuyers with this high quality whiteboard animation. It features professional, crisp images and a a convincing script. Kitchen Sink Labs delivers a clear message in a short time frame. The animations flow well with the script, and it’s an ideal sales pitch whiteboard animation. This is an interesting piece all about how we learn. It’s well produced, and the script undoubtedly makes you think. With over 500,000 views, we’re not the only ones who enjoyed it. Payment card compliance is definitely not an alluring subject to most people, yet this video manages to hold your attention long enough to understand the subject. It explains the technology, without going too deep into the subject. This one is definitely not your typical whiteboard animation, but a good example of how you can go a bit fancy with your video. The moving animations give it an extra flair of excitement, and it’s just enough to hold your attention. This fun and colorful animation is a good example of how to produce an explainer video in less than two minutes. The message is clear and concise, and highlights the consumer’s problem, making it easy for viewers to relate. Study.com covers the broad topic of marketing with this whiteboard animation. It’s highly informational, and an excellent sample of how to produce educational videos.